I went for a vintagey feel,even though the photo is only about 12 years old. The flowers in the Brides bouquet, the colour of the building behind and the colour of the gazebo, worked nicely with the challenge colours. I think my sister will be thrilled when she sees this photo on my blog!! A beautiful page for a beautiful wedding! All of a sudden I realised Easter is nearly upon us!! My husband and I quickly picked up a couple of chocolate delights for our daughter, but I wasn't happy with the plastic packaging and thought I could do better. I had kept an egg carton from the last shop we did and that fit my needs perfectly. It is amazing what you can recycle!! 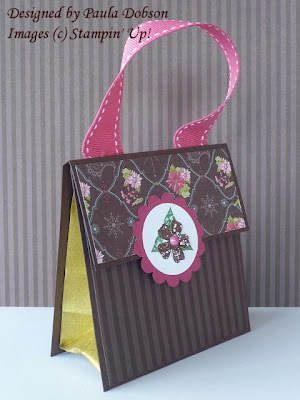 This little project also fit perfectly the challenge I was determined to enter at Swap Sisters! We had to alter a recyclable box, can, jar or anything we could get our hands on!! I can't tell you how many times I have tried to get a project finished in time for the cut off! Finally made it - woohoo!! I also shoozed up the inside with an Easter Greeting! I hope my daughter likes the box as much as she will LOVE the chocolate, hardy hahaha! I can't wait for April the 1st!! That is when Stampin' Up! 's new Winter Mini Catalogue is launched. And what a catty!! OMG - I want everything in it, hehe. I have started off small with this wee card. As many of you may well know by now, the Big Shot embossing and die cut machine is in the new catalogue. I hope you have been saving your pennys, as I have, because as a crafter it is a must have. 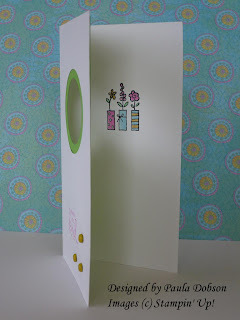 Apart from the Birthday greeting stamp on the front, this card uses two dies and one embossing folder from the BS range. It also uses a gorgeous new streamlined punch from SU. You just have to come see these beautiful new products in action. Join me on the 10th of April for my free launch Workshop and come and have a play! Use the "contact me" section on the right to email me your registration! See you there. 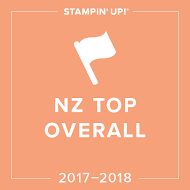 I love being part of the Stampin' Up! family. One of the things I love about it, is the swaps I get to participate in. This month our team swap was to be something from the NEW Winter mini catalogue, which is being released on the 1st of April. It is such a gorgeous catalogue, I would hate for you to miss out on the launch workshop I am holding on the 10th of April. Click the "contact ME" button on the right of my blog and register your seat! I decided to make something other than a card this month. I bought a whole pile of Jotter Note Pads and altered the cover with this design. 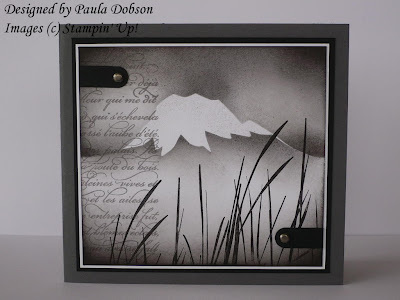 This new stamp set is not only wonderful for the silhouettes I love to do, but it is a Clear Mount stamp set too!! Makes for easier positioning of your stamps without the need for guessing! If you would like to see these exciting new releases, be sure to book your seat for my workshop! The Just Add Ink #9 challenge this week was a sketch challenge! I am always up for a good sketch challenge, but how to put my own spin on it? I really love Acetate and don't use it as much as I would like. So I thought I may as well kill two birds with one stone! I also want to tease you all with some of the divine new products that launch on the 1st of April. The new Winter Mini catalogue is only two weeks away, and I can honestly say, I am thrilled with all the goodies in it. BUT, my lips are sealed for now!! 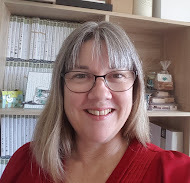 Come along to my Release Workshop on the 10th of April and get your wishlist started, make a project, play with the new products, and be in to win my cool doorprize!! Email me for more details! I hope you like my interpretation of the Sketch Challenge. Feel free to leave a comment and tell me what you think! Just a quick post today. Have you got your FREE Sale-a-bration set yet? No? Well, here's a reminder for you all. 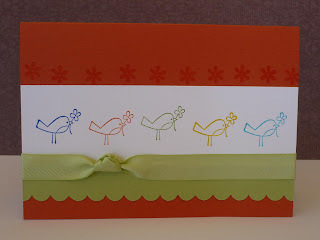 Spend $120.00 until the end of March and recieve a FREE Sale-a-bration stamp set, four to choose from. So get cracking and don't miss out. Email me your order today!! 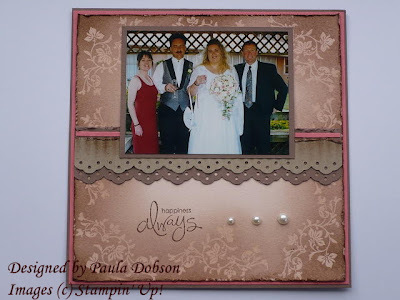 This little beauty is stamped with the "Happy Moments" SAB set. A really versatile set to have on hand when you need to produce a quick card. I have used the sponging technique, along with the Stamp-a-majig (how did I ever get along without it?! ), to place the bird cage perfectly on the flourish. 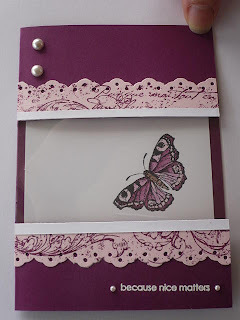 I have used Elegant Eggplant and Pink Pirouette on this wee dazzler. The whole project took 15 minutes to whip up! Nice and simple! 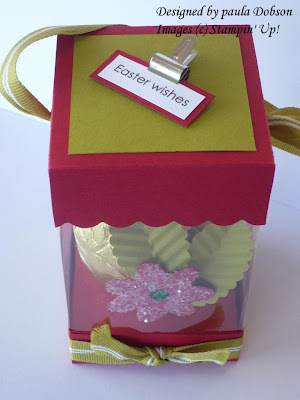 This weeks Just Add Ink challenge is to come up with an Easter Project. 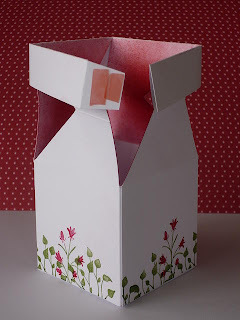 I have seen some gorgeous acetate boxes, admired them from afar, and never attempted one my self. 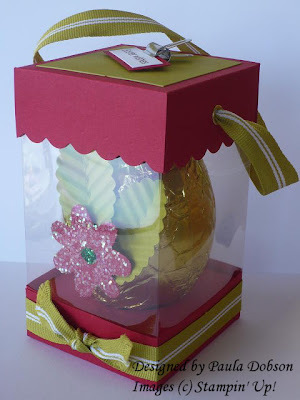 I bought a lovely golden Easter Egg and built the box around it. 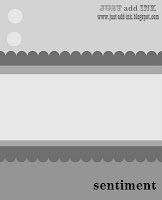 I have actually combined this challenge with another project I had to do on another website. I was given some Kiwi Kiss ribbon to use, along with SU sticky cuts and a mini bulldog clip. 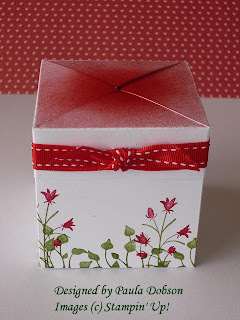 I decided to leave the box fairly plain, because the colour combination of Kiwi Kiss and Real Red has a lot going on! I dressed it up slightly by adding a tag sentiment with the clip. The Sticky Cut flower I adhered to Real Red card stock and then sprinkle liberally with chunky glitter. Lastly, I added a couple of crimped leaves and dressed the Egg up instead. 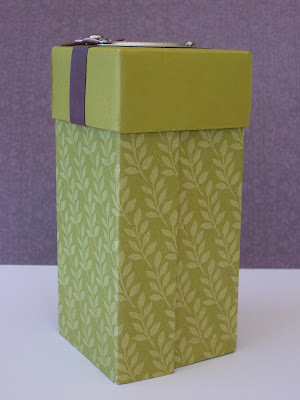 I am really pleased with how my first attempted at an acetate box turned out. This is a gift for a very special friend who has inspired me to have a go, and given encouragement and help along my journey in Stampin Up! I really hope she likes it! I would like to introduce one of my lovely friends, Una Gibbs. Una is such a lovely lady and talented artist that I just had to share with you the beautiful card that she sent me in the mail. I got such a shock to receive such a lovely card out of the blue! Thanks to Stampin' Up!, I have met some amazing artists and made many friends. Una is a regular attendee at my classes, and I would like to thank her, for the wonderful support and friendship she has shown me. 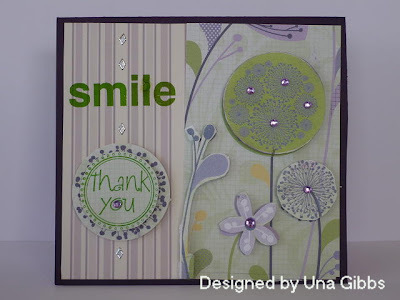 Please leave a comment and let Una know what you think of her card! I have just been outside and I think Autumn is here. There is a definite nip in the air first thing in the morning now! I recently did a swap with Bron Heslop using the In Colours for 2009/2010. This wee card was one of the swaps I sent to her. Looking at it now, it is right on the money for Autumn colours. I have used my favourite technique, sponging, again and teamed it with Pocket Silhouettes and Whimsical Words. The base colours are Riding Hood Red and Tangerine Tango. If you would like to learn this technique, then come along to one of my Technique Classes. I am teaching this technique to my class this Saturday. 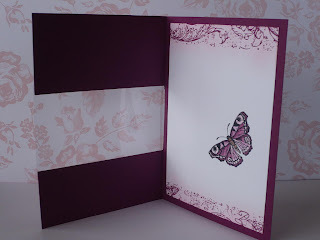 The ladies will get the tutorials I have done up along with their pretty projects, oh, and really inky fingers!! Don't wear white Girls! Watch this space as I have every intention of posting a Tutorial on Sponging!! I also post my classes (in the left hand side bar) in advance. If you see one that interests you, please use the "Contact Me" section to email your registration. 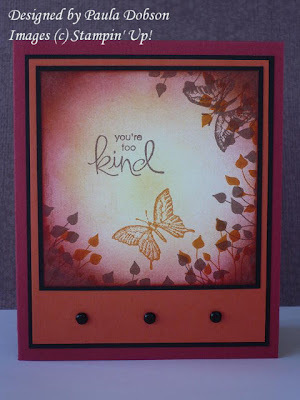 Wow, the designers at Just Add Ink really know how to set a challenge! This weeks challenge JAI7 is another colour challenge. What do you think of the colours? This one proved a little harder than I first thought. No matter how I put the combinations together, I just didn't like them! The first project I attempted was given to a friend, for her Granddaughter for Easter. She loved it but I didn't! So I figured, Less is More, right? I only had the Pink Passion Ink, which I used to stamp the sentiment from the FREE SAB set "Whimsical Words" (This set is FREE until the end of March with a qualifying order of $120.00). 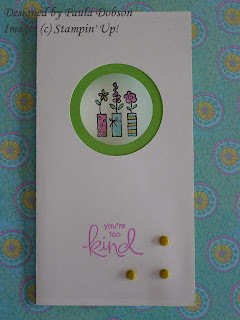 To colour the rest of the image, I used Stampin Pastels ($57.95) and a blender pen. The Pastels are so versatile and come in every colour of SU's colour families. Simply pick up the colour with your blender pen, and colour away! Way cool!! 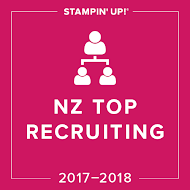 If you would like to know more about Stampin' Up!s fab range of products, or would like to earn a FREE stamp set - contact me today! 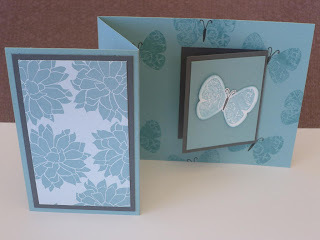 If you would like to learn how to create cards like these, drop me a line. I have classes for those interested or I can bring the class to you and your friends when it suits you!! See my class list on the right. 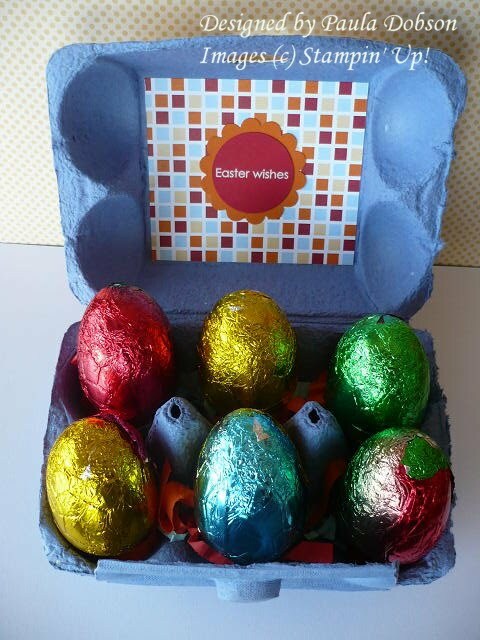 And my personal favourite, this gorgeous Stepper Box, complete with Chocolate Easter Eggs!! I am totally blown away with these gorgeous projects!! You ROCK Bron!! 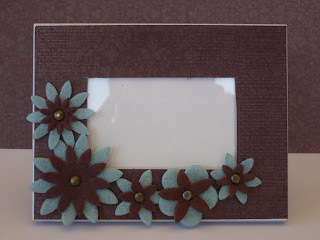 I confess, Scrap booking is not my favourite craft! I find it hard to fill and charm a 12 x 12 page, although I have attempted a few. 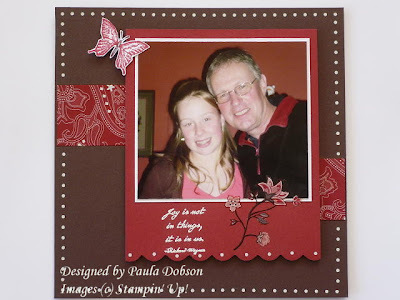 Creative Inkers Team swap for February was to make a 6 x 6 page. I received in return some gorgeous examples of how it SHOULD be done! For my March Guest Artist spot on Jaqcue Pedersens web site, I again, challenged myself to a 6 x 6 page. This is one of my favourite photo's of my husband and daughter, and it works really well with the colours I was challenged to use. 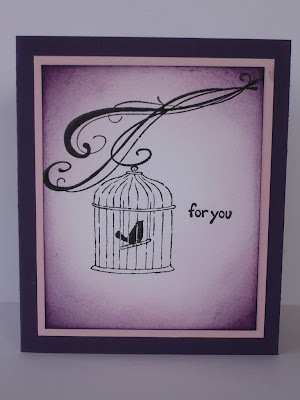 Jacque also included some gorgeous rub ons from the Stampin' Up! range. 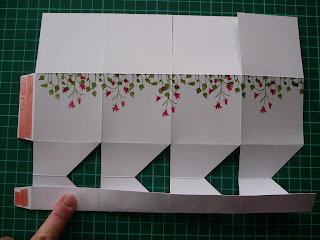 These are fantastic for scrap booking and card making! 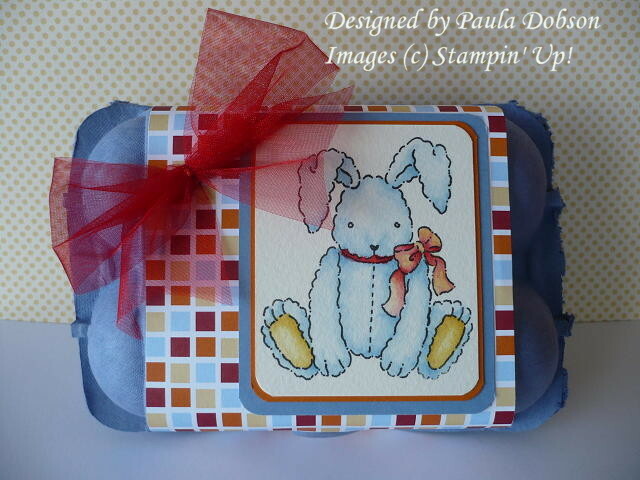 They come from a pack called "Dots & Designs" and cost $25.95 for two large sheets. These are only available until the end of March, so if you like them too, email me your order so you don't miss out!! 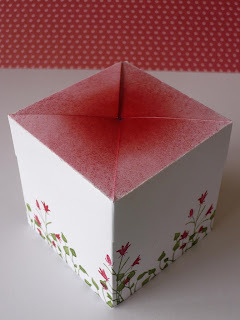 Here is the tutorial of the Impossible Box I promised you. I tried to post this last night, but for some reason it didn't work! Second time lucky eh? This layout can be made to whatever size cardstock you have available. This is an A4 size and the dimensions I have used are 6 x 6cm for the Base, Sides and Lid Top. The lid edge is 2 cm wide, the tabs are 1.5cm wide. Again you can adjust to your own measurements. 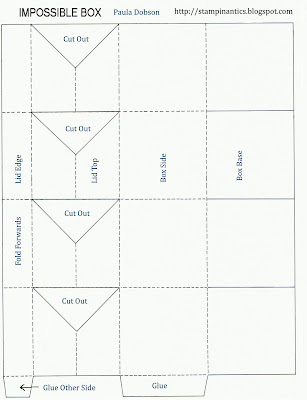 Score on the dotted lines and cut on the solid lines. If you are going to stamp a design, do it now. stamping, so I ended up with a plain white base. You could also mask it instead. what will be the centre of the lid. your lines well. to make them nice and crsip! 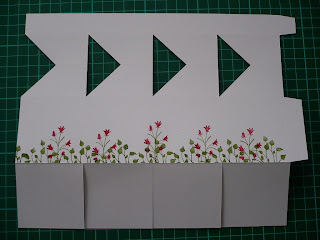 Using Sticky Strip, adhere to the tabs as shown. 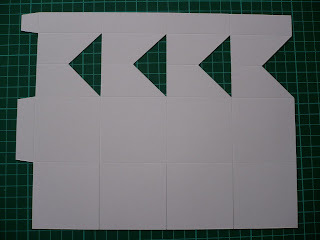 sticking down the side tab of your card to the opposite end. 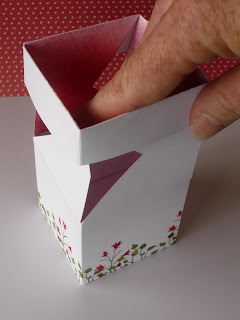 This will create the body of your box and you won't be able to fold the lid edge once it is stuck down. 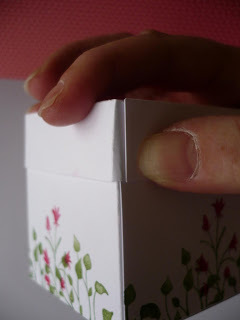 Because the box and lid are the same size, I found the best way to make sure the lid will slide down over the body of the box, is to close the box before adhering the tab. Close the box by gently pushing down on the lid. Take the backing off your sticky strip and gently squeeze the sides together and stick down. It will be a little off (as shown) but that's ok. We can hide this with embellishments! Now you can see the sponging I did earlier. The inside of the box is now on the top! Gently pull the edges up to open the box again. 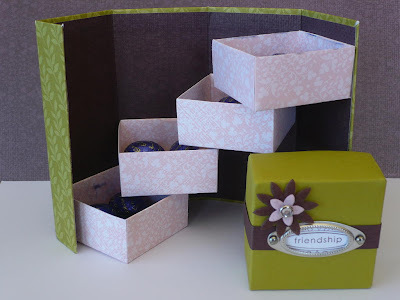 Fill with your favourite chocolates, soaps, or anything small you would like to put in your gift. HAPPY CRAFTING TO YOU ALL!! As much as I love sponging, I have been wanting to try my hand at watercolouring. 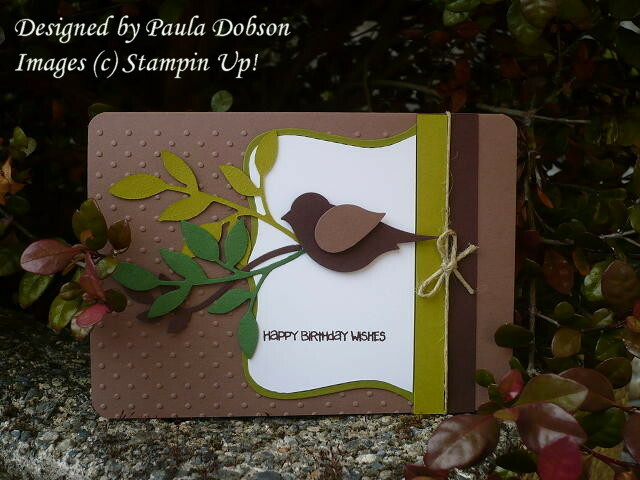 Traditionally, I would use a paint brush, but Stampin' Up! have these cool little tools called "Aqua Painters". They come in a set of two, one fine tip, one broad, and are $23.50. You simply fill the reservoir with water and away you go. I chose one of my favourite sets "Summer by the Sea" (now retired) to practice on and am extremely pleased with the result. 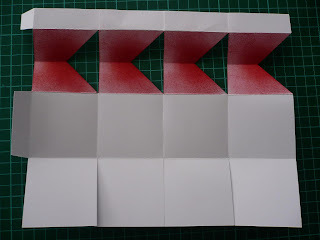 While you can use this method of painting on our regular card stock, the watercolour paper ($16.25 for a pack of 20 sheets) is the best way to go for a truly watercolour effect. 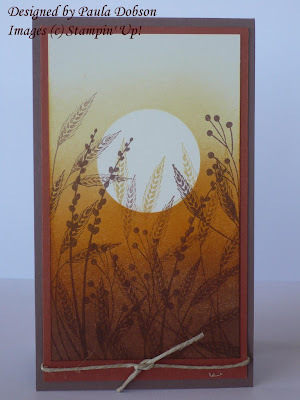 Don't be daunted to try this great technique, the art work is already done for you. Simply colour in your masterpiece!! I would love to show you how, so why not book a workshop with me? Just drop me a line and book into March. 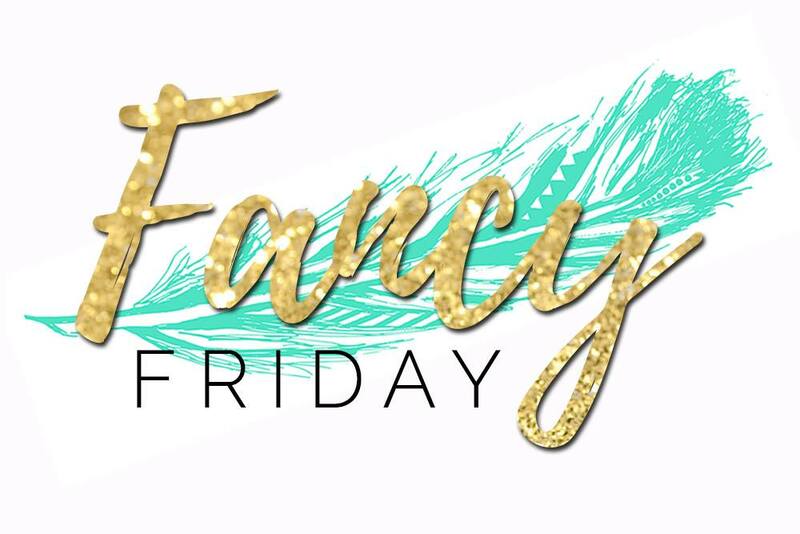 You will be able to take advantage of the Sale-a-bration period to earn some FREE goodies at the same time!